^Very nice Thats actually Canons updated replacement to my camera, the 550D (T2i for those in the US). It sounds like a very nice camera indeed from the writeups I've seen. Everything mine has and then some real nice additions on top of that. The tilt shift screen probably makes me the most envious since those can really be useful for low angle work (which mine doesn't have ). I noticed earlier in the thread you said you wanted a DSLR for video work. As an aspiring videographer myself, I'm curious as to what sort of video work you do. Ahh, YES. I love my tilt shift screen. especially for awkward shots, I wont have to go in completely blind. I almost was thinking of getting the t2i like you have, but then this released and I couldn't resist, hehe. If you're ever looking to upgrade, I definitely suggest the t3i. Back on the topic of photography... 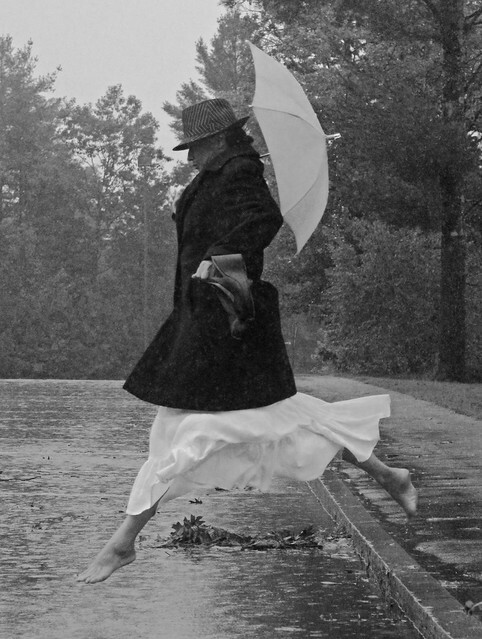 Here is a picture I took as an assignment to mimic Richard Avedon. My mom is a good sport. And just so you know, the picture isn't noisy, it was pouring rain to the point I could barely see with the naked eye. I had a plastic bag over my camera with the lens sticking out of a small hole so I wouldn't ruin the camera completely. I watched your vid and I thought it was good You had a good focused idea for your story, nicely composed shots and good pacing. The quality of the video or audio doesn't really matter cause as I found out when I started shooting video, a good camera didn't automatically make me a good videographer Fortunately I have gotten a bit better now. But yeah, I've seen some superb amateur work shot on smart phones with real low res video. Of course, the quality never hurts and if you can shoot a good vid on a cheapo camera, you can probably shoot a real amazing vid on a better one. I reckon you'll be able to do some real good work with the T3i, especially once you get yourself some support gear like a good mic and the other accessories that seem all too necessary with a video DSLR. Hopefully you'll post your work on the forum. I always like to watch other people's works to try and learn from. I'll be interested to hear how you find the Video Rode mic too. I got a Zoom H1 since I tend to use the mic more for ambient noise rather than a specific source but I've been toying with the idea of getting a shotgun mic for specific applications. Still screwing around with HDR..
^I absolutely love your photo's You should be very proud of your work. Could you please tell me where the second and third photo's were taken. All of them except for Koriyama Castle are of Hasedera. I have a real love for toy cameras, and my absolute favourite one is the Digital Harinezumi. I got my first Harinezumi a good couple of years ago (2010, I think) - it's seen some abuse, has melted a bit in the sun and things, but it still works great. Then in 2012, they released a new version (3.0) - more features, better hardware ... and bright neon colours. 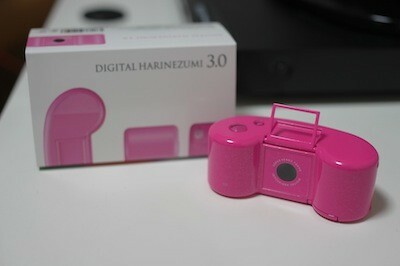 So I got myself a pink one :| I haven't really kept up with Harinezumi news following my latest purchase, but it seems they've released at least one new version since xD; None quite as striking as this pink beauty, though. Anyway - The reason I love this camera is because it invites you to play around. You will never be able to take a perfect shot with it, this is not the camera you want to capture important vacation memories or events with, but it's an artistic toy where you can play around with images and colours. I feel like I'm still just learning how to use it, but a part of me never wants to really "figure it out".